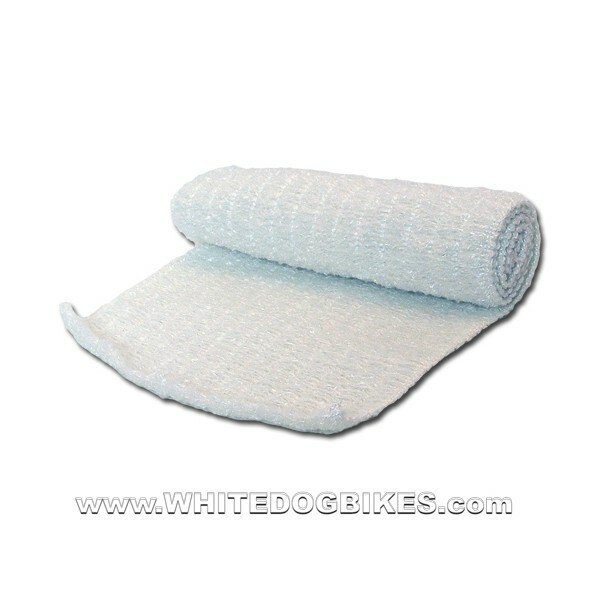 Easy to use sheet of 1 meter x 45 centimeter top quality, heat resistant motorbike exhaust packing material. 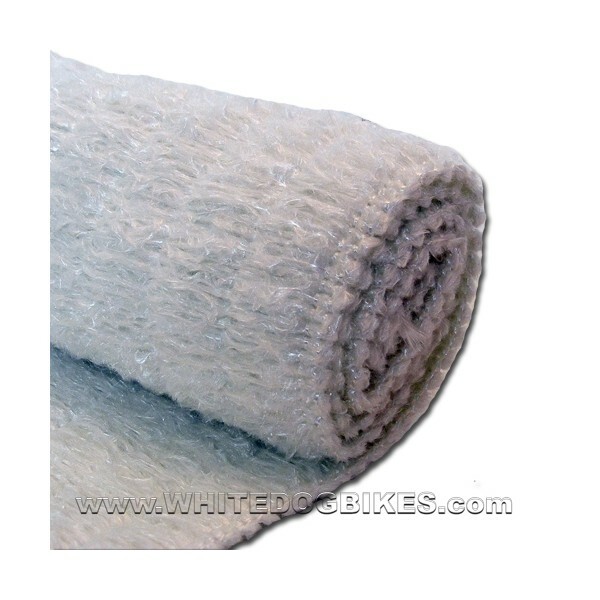 The exhaust packing material is compressed and held together using a fine thread. The thread dissolves when it comes in contact with exhaust gases which lets the exhaust wadding expand to fill the chamber (making it especially useful for odd shaped motorbike end cans). This is the motorcycle wadding material that is usually fitted in the end can (normally around the center exhaust tube). Please note: Although motorbike exhaust wadding can be used to muffle the exhaust sound a bit it is more effective if used with a Motorcycle exhaust baffle. Please note - This exhaust wadding is sent by courier to most mainland UK addresses! Due to the unique and fairly stupid way the Royal Mail increased their prices on in April 2013, we cannot send this charger by RM services (as it is too wide). Please note: This item weighs (approx) 1.43kg.